A basic knowledge of First Aid can save lives. 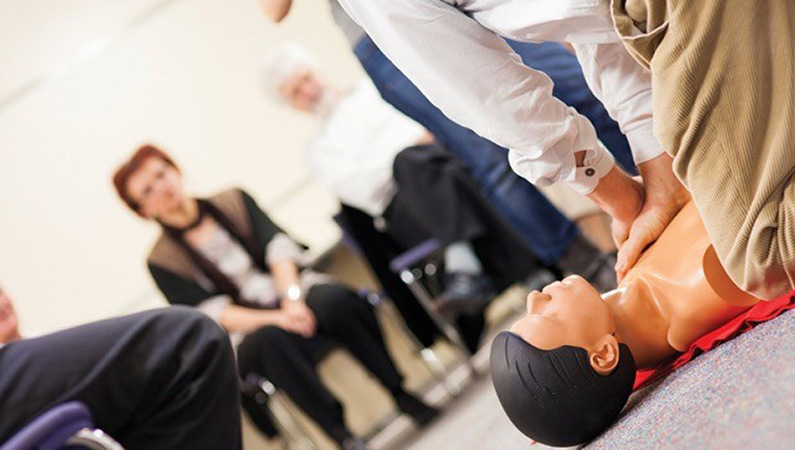 HealthFirst will come to your offices to provide training in First Aid, Cardio-Pulmonary Resuscitation (CPR) and Automated External Defibrillation (AED). Training can be delivered in native English and/or French. All our trainers are practising doctors, nurses or midwives. This means their medical knowledge is always up-to-date and they are able to bring each course alive by drawing on their real-life experiences. They work with companies and international organisations every day and know how to engage your employees to make these courses fun and memorable. Please contact us to discuss your bespoke needs.